Hollow brass plug follower set nests together for storage inside storage tube. Fits the three most common size locks. Used to keep top pins and springs from falling out of the lock when removing the plug for re-keying. SKU: 3PieceFollower. Category: Locksmith's Tools. Brands: HPC. Three piece hollow brass plug follower set contains the most common plug follower sizes. 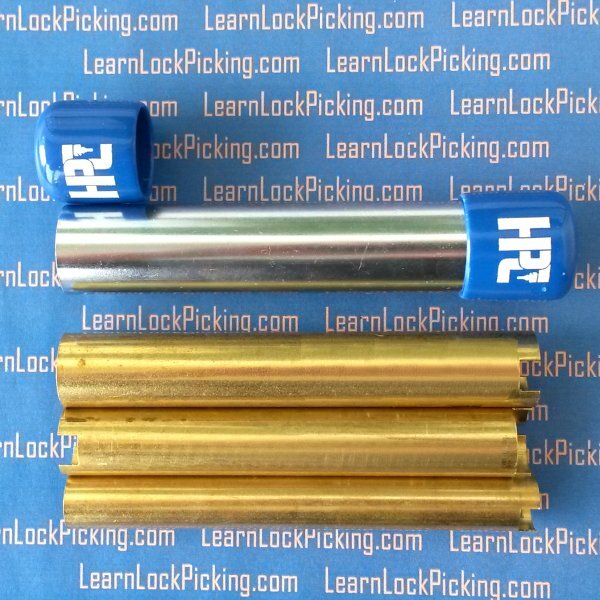 Three piece set works on almost all lock cylinder sizes. 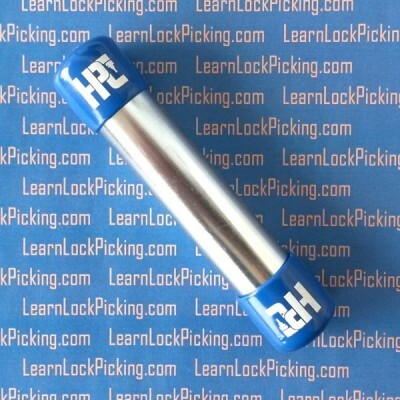 The medium size plug follower works on most of the pin tumbler locks in use. The large plug follower works on the oversize the Corbin Russwin heavy duty knob lock cylinders among others. The small diameter follower is useful for cabinet locks, peanut size cylinders, and pin tumbler letterbox locks. Plug followers are used to keep the upper pins and springs in the lock cylinder housing while the plug is removed for re-keying. If the plug is removed without using a follower, the upper springs and pins fall into the void where the plug used to be. To use, the plug follower is slid into the lock housing from the rear as the plug is slid out of the housing from the front of the cylinder. 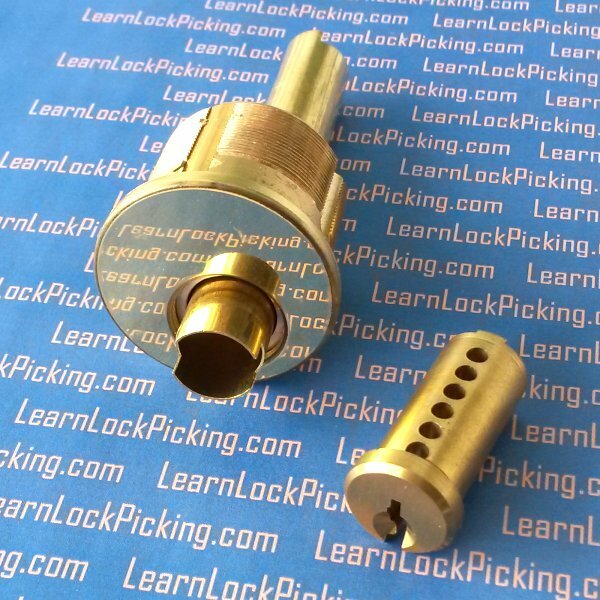 After the pins in the lock plug are replaced with the new key configuration, the plug is slid back into the lock as the plug follower is removed. Set includes the 3 most popular sizes of plug followers. 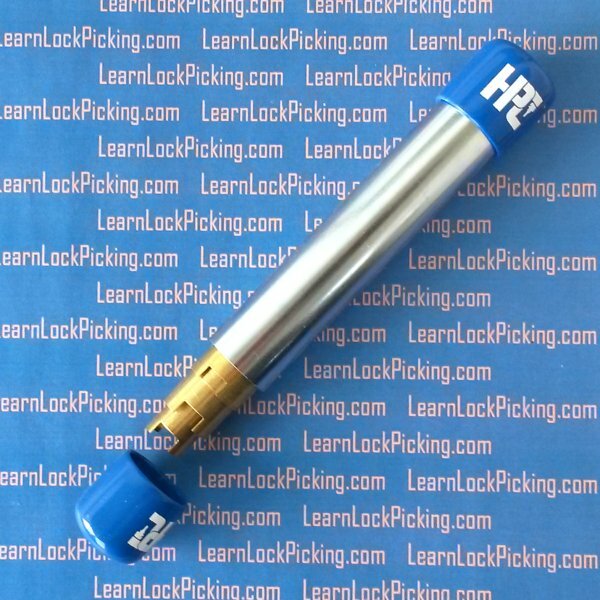 Note: this tool is used to disassemble a lock for re-keying. 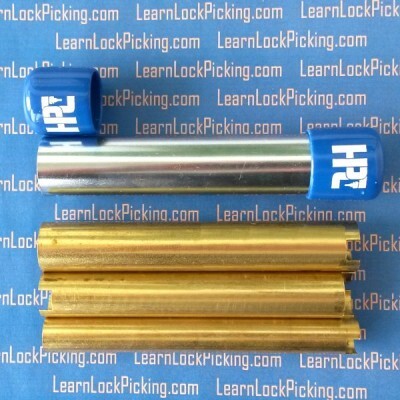 Our Ultimate Practice Locks are re-keyable from the top of the lock cylinder and do not require dis-assembly of the lock for re-keying. Does what it says with quality materials and tolerances. Nesting is nice so as not to take up too much space in my small kit pouch.